For my project, I chose to convert Chapter 2 of the interactive novella app “Pry” into Twine. This chapter of “Pry” follows the protagonist, James, a war veteran who works at a demolition site with his boss and former squadron member, Luke, while experiencing visions and flashbacks of his time in The Gulf War and dealing with PTSD, increased vision problems, and self-induced guilt over the death of his friend and crush, Jessie. I figured it would be interesting to do a close reading of this specific chapter of “Pry” because it includes many different visual and audible elements that I thought would be a challenge to port into Twine while still attempting to retain the core elements of the original story and having humility towards the text. In the original version of Chapter 2 of “Pry,” the player has limited agency, and can only choose between two repeated actions: opening and closing the narrator/protagonist’s eyes. I decided to replicate this limited agency by solely allowing the reader the same two choices after every scene, and I made this conscious choice because it seemed to me like an integral part of the experience of playing through “Pry.” Another choice I made was not including any sounds or images. In order for the reader and for myself as the creator to get the full port-to-Twine experience, I chose to omit sounds and images and to recreate the experience of playing through Chapter 2 using only text. But in order to take away these two essential elements of the original novella, it was necessary to replace them with something; therefore, I also chose to write my own textual descriptions of the visual and audio elements of “Pry,” shown in the plain, non-italicized text in each scene of my project. A further choice that I made was styling the font to make it look more similar to the thin serif font of “Pry,” rather than the thick default Twine font. Finally, in an attempt to retain the interactive feel of “Pry,” I utilized second-person pronouns instead of first-person pronouns for the narration of James’ actions and thoughts. Visually, my port project is drastically different from the original app, but the Twine version of “Pry” reveals some important observations about the original work. Firstly, one of the effects of porting the app to Twine is that it allows the player to undo choices they have made, by way of the sidebar. This makes for a loss of the player’s curiosity that was alive in the original work; the fact that you had to restart the entire chapter of “Pry” in the app in order to make different choices was frustrating, but it also sparked an interest and drive to replay each segment until the player earned all four completion diamonds for every chapter. The creation of the undo button may have made for a more pleasant experience when reading Chapter 2, but it lost some of its intrinsic meaning as well. Secondly, the addition of audio and video is truly essential to the essence of “Pry,” and this was something that could not be translated through a port to Twine. These interactive elements make the work much more immersive and interactive than the Twine version, despite the inclusion of choices between different actions. In the words of Janet Murray in Chapter 3 of her work, Hamlet on the Holodeck (1997), the removal of these ways of experiencing the work change the story’s spatial quality (one of the four essential properties of digital environments), which is “created by the interactive process of navigation.” It does not abolish that property entirely, however, but merely adjusts it, since my addition of narrative text serves as a replacement to help the reader feel as if they are moving through the story world. Another essential property of digital environments that my port of “Pry” fulfilled was the procedural property, or, as Murray denotes, the “defining ability to execute a series of rules.” This property can be well visualized through a medium such as Twine, because both in the creation of the game and the execution of it, the process is very formulaic. When creating a Twine game, the actions are very repetitive—write a new passage, create links for the end of the passage, and write a new passage that corresponds to the last one—and the same is true for playing a Twine game, where the actions include reading the text and clicking on the different links within it. Furthermore, my port of “Pry” fulfilled the participatory property, meaning that it is responsive to the reader’s input. It is impossible for the story to move forward and advance without the reader clicking through the choices, and this melding of the procedural and participatory elements means that the work is also interactive. 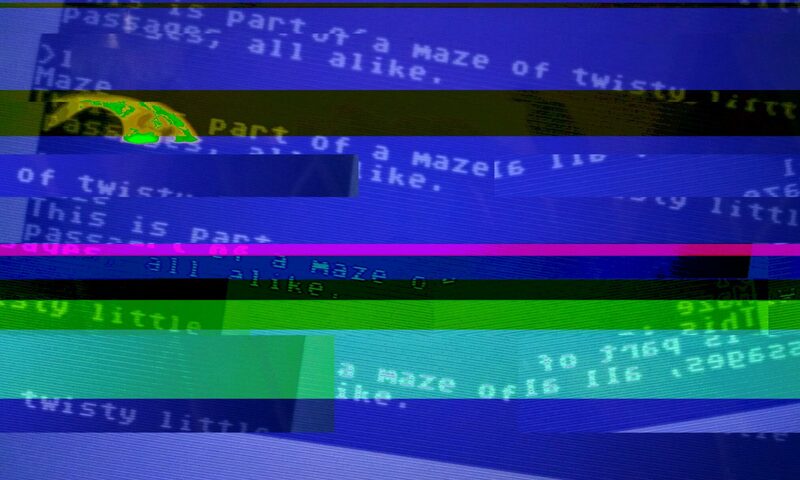 This participatory quality is, in my opinion, one of the appealing things about utilizing Twine as a platform, especially when a Twine game contains a number of different endings, as it lends an endearing sense of replayability to the works. The fourth and final property of digital environments that my port of “Pry” fulfilled is the encyclopedic property, which allows for large amounts of data and information to be stored. My project accomplishes this through the Twine program itself; there is no limit to the number of passages the author can write or to the number of connections that can be made between passages. The encyclopedic element of digital environments, as Murray explains, makes them “a compelling medium for narrative art,” because the creator is not restricted by any limits, from number of pages to file size. Another reading from our class that ties into my port project is Marie-Laure Ryan’s Narrative as Virtual Reality 2 (2015), specifically the chapter entitled “The Many Forms of Interactivity.” In this work, the author goes into detail about each of what she calls the levels of interactivity, and both the original version of “Pry” and my port of it are examples of Ryan’s second level of interactivity: Interactivity Affecting Narrative Discourse and the Presentation of the Story. “On this level,” writes Ryan, “the materials that constitute the story are fully predetermined, but here the order in which the story is told is highly variable.” When moving through the story of “Pry” and through my project, the reader, by making choices, can alter the order of the different scenes (by prolonging or speeding up the “now” scenes, for example), but they cannot fundamentally change the story or the events that occur within it, and will reach the same ending each time they go through the chapter. To synthesize, the process of this port project taught me firsthand how incredibly challenging it is to try to produce something radically different from an original work while still having, as Eliot Weinberger so eloquently states in his book, Nineteen Ways of Looking at Wang Wei (1987), “absolute humility toward the text.” Furthermore, this project revealed to me how incredibly fine the line is between making a port, based on a prior work, that is new and bold, and creating something that is no longer recognizable as the source material it was based on. This brings up the question of authorship we discussed various times earlier this semester, but this time with a second human “author” or “creator” instead of a robotic or digital one: am I, and all of us who ported a work into another medium, true “authors,” or are we co-creators, and is there a difference between the two? To sum up, the experience of porting this work from one medium to another was incredibly valuable because it gave me the opportunity to apply everything we learned in this course to the experience of creating a single work, and by doing so, delve deeper into the inner workings of both the Twine program and the “Pry” story. Murray, Janet H. “Chapter 3.” Hamlet on the Holodeck: The Future of Narrative in Cyberspace, The MIT Press, Cambridge, MA, 1997, pp. 65–94. Ryan, Marie-Laure. “The Many Forms of Interactivity.” Narrative as Virtual Reality 2: Revisiting Immersion and Interactivity in Literature and Electronic Media, Johns Hopkins University Press, Baltimore, MD, 2015, pp. 160–185.